“No sooner had Jesus knocked over the dragon of superstition,” wrote George Bernard Shaw in ”Androcles and the Lion,” “than Paul boldly set it on its legs again in the name of Jesus.” Shaw’s line captures the outsize and frankly uneasy influence that St. Paul had on the early church. Though the apostle’s letters comprise almost a third of the New Testament, he remains controversial. Progressives in particular often hold Paul responsible for corrupting Jesus’ teachings and introducing starchy moral standards into the faith. Jay Parini’s The Damascus Road, a new novel about the life of Paul, shows how early Christianity as a movement may have developed. Parini, a poet, critic and professor of English and creative writing at Middlebury College, chooses as his narrators both Paul and Luke—Paul’s colleague (and often rival) in the early efforts to articulate and promote the tenets of the new faith. 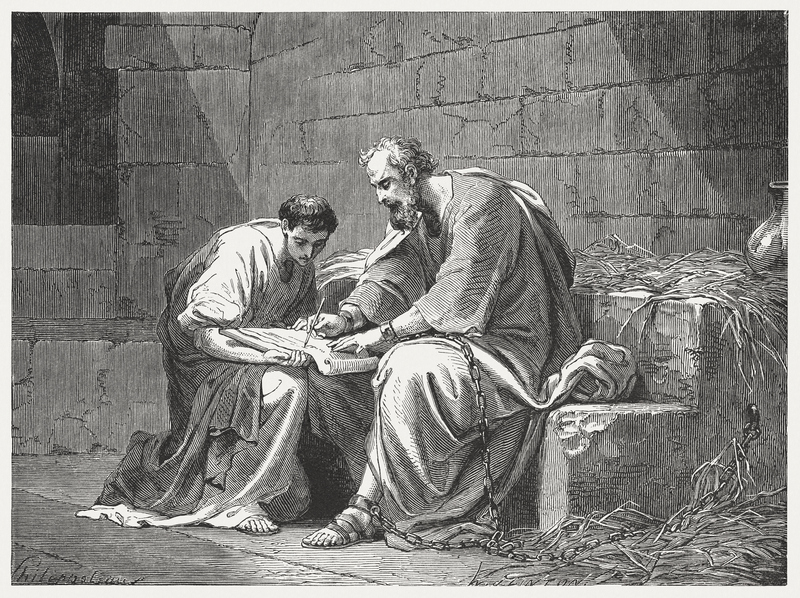 Though the apostle Paul's letters comprise almost a third of the New Testament, he remains controversial. Devout and dedicated to Paul, Luke comes across as someone with normal anxieties and struggles. “I, as a physician, sought explanations,” Parini’s Luke explains. “I must take into account causes and effects. I didn’t often speak in metaphors or parables, preferring the plain sense of things. Nor did I traffic in abstruse thoughts.” Paul, however, is a zealot who speaks in allegories and embellishes stories in order to build a church (or really more a movement) devoted to Jesus. Parini shows that in presenting Christianity to the Gentiles in terms they could understand, Paul helped a Roman world of the first century that was largely unfamiliar with the Hebrew Old Testament to embrace Christian theology—if not necessarily its primary messenger. This is a very good book, I advise many students to read it. When I was in college at the Faculty of Journalism, this book was in our program. I read it very quickly. From early childhood I read a lot and then began to publish articles at article writing service https://uk.edusson.com/article-writing-service , if you are interested you can read them, there are many interesting articles about education and reviews of various books. This article also appeared in print, under the headline "The Messenger," in the April 1, 2019 issue. Daniel Luzer is an editor at Oxford University Press.